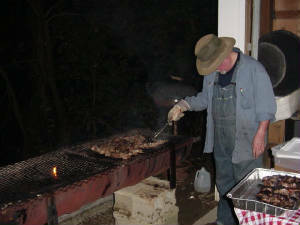 We do all types of outings and can customize one to your specifications. 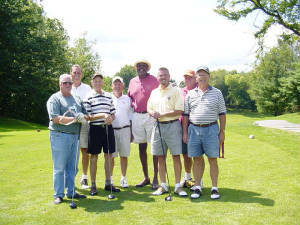 We can accomodate groups of any size (up to 150 golfers). The Lyons Den Golf offers a full catering menu but also gives you the option of handling any portion of the catering yourself. New to planning a golf outing? We can help. Fundraiser Outing Development is our specialty. If you are interested in developing a fundraiser golf outing but are unsure of where to begin, that's where we come in. Simply click on the link below or call the Golf Shop at 330-854-9910 and ask for Andy. When you book your outing with us you will not only receive "hands on" assistance every step of the way, but also a copy of our golf outing "checklist" as well as a golf outing "budget plan". The checklist will ensure that you have completed all the necessary tasks to running a successful outing. The budget plan will align all costs and pricing to guarantee that you have made money. We at the Lyons Den Golf have helped groups raise as much as $10,000. So why wait? Take that step and make a difference with the cause that's so dear to your heart.